My husband and I got married at the exact moment of the autumnal equinox of 2016. Why? Partially opportunistic as we wanted to get married late September anyway. But the reason why it was an opportunity worth taking is it actually is a significant time of year for astronomy nerds. As Neil deGrasse Tyson has commented on, New Year is actually a non-event as when the year starts is completely arbitrary. However, it’s not a coincidence Christmas is near the winter solstice and that the date of Easter Sunday is usually the first Sunday after the first Full Moon occurring on or after the March equinox. 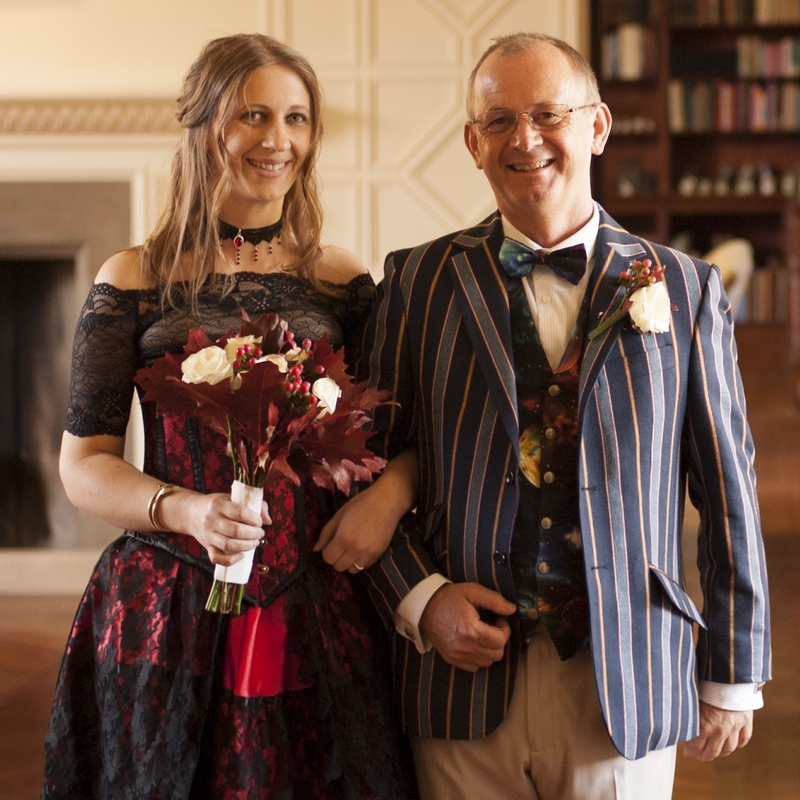 Speaking of Neil deGrasse Tyson, my dad wore a waistcoat that he would be jealous of for my wedding. As the ‘equi’ in equinox might suggest, this is the time when it's equal day and night everywhere on Earth. This is because the Sun is shining directly on the equator. This has the interesting consequence of there being no shadows cast on the equatorial regions, which I can imagine being quite creepy. I said we got married at the exact moment of the autumnal equinox. You may be asking how can there be an exact moment of equal day and night? 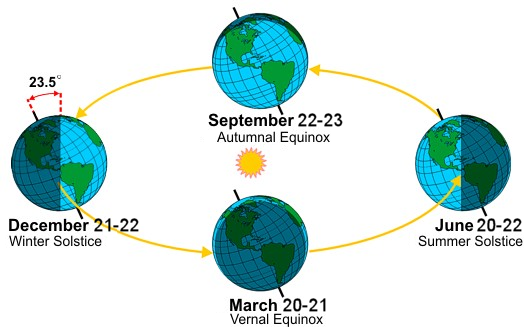 The exact moment of an equinox is when the Sun crosses the celestial equator (0° declination). This happens twice a year; on the vernal equinox and the autumnal equinox. The vernal equinox occurs around the 22nd March at the First Point of Aries, which defines the celestial meridian (0h right ascension, which is the celestial version of longitude). 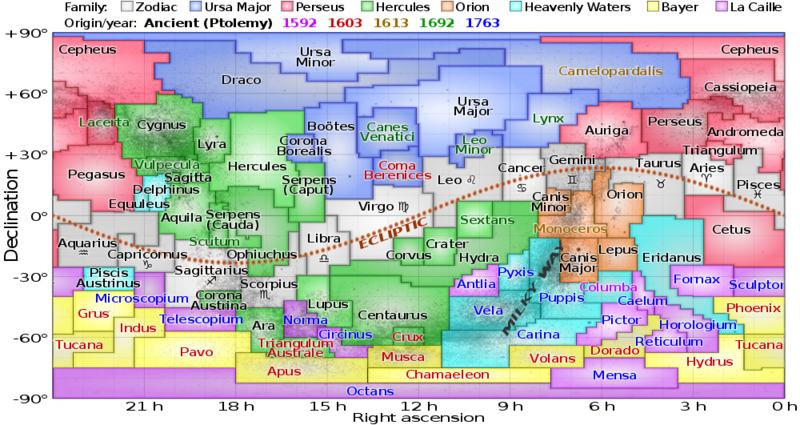 The history of the First Point of Aries is actually really interesting and I'd like to write about it at some point. In autumn the point is called the First Point of Libra. I know what you're thinking and no, that's not about astrology, well it kind of is, in that star signs are just constellations found in the path of the Sun. If you're a Pisces that means when you were born the Sun was in the constellation Pisces. This does not affect your life in went way! The eager-eyed amongst you might have noticed the first point of Libra isn't in Libra and the First Point of Aries isn't in Aries. Did astronomers make a mistake? No, they didn't. When these points were first defined they were in those constellations. Who moved the stars then? It's all because the Earth wobbles like a spinning top — it's called precession. You might get a lot of flat earthers saying “why don't we feel the wobble” and “how come footage of the Earth isn't wobbling”. It's not wobbling very quickly — in fact it takes about 26,000 years to complete one cycle. That combined with apsidal precession means the vernal equinox cycles 360° in about 22,000 years. That’s less than 0.0000000001 rpm. It's not going to make much difference in your lifetime but it will be noticeable in hundreds of years. That's one of the wonderful and humbling things about astronomy and cosmology, the scales much larger than you can comprehend. When I went away for a couple of weeks it looked like half of my local town had changed, imagine how much the world changes in thousands of years. Imagine how much galaxies change in billions of years. So pretty straightforward so far, right? The autumnal equinox is when the sun is at the First Point of Libra, which is actually in Virgo. And that's when there's equal day and night. That's a good thing for astronomers as they can look forward to longer nights for stargazing. Well there’s not exactly equal day and night. That happens about a day later because of refraction from the atmosphere. That's the thing with teaching physics and astronomy, there's always a little more to the story. If you look up dates of equinoxes, you'll notice they are not at the same time each year, and sometimes not even the same date. So even though I don't believe in fate or ‘star-crossed lovers’ it was incredibly poetic that we met because of our mutual interest in astronomy and in the month we wanted to get married it just happened to be the only equinox that would really have been possible to hit the exact moment of the Sun crossing the celestial equator. Now you are well informed, do you think we should celebrate our wedding anniversary on the 22nd of September or whenever the autumnal equinox falls? We went with both to be sure.